Peel shrimp and leave the tail on. Squish lemon juice on the shrimp and marinate for few minutes. Discard lemon juice. 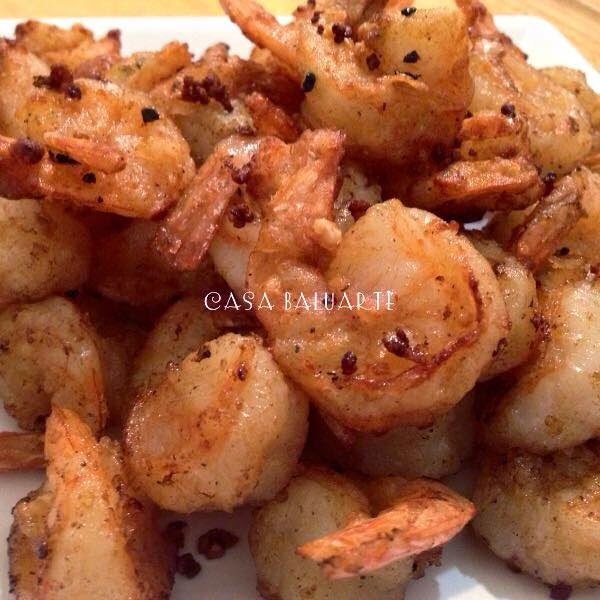 Season shrimp with minced garlic, salt and ground pepper. Toss seasoned shrimp in cornstarch. Set aside. Heat small deep pan in medium high heat. Once the oil is fully hot heat to medium. 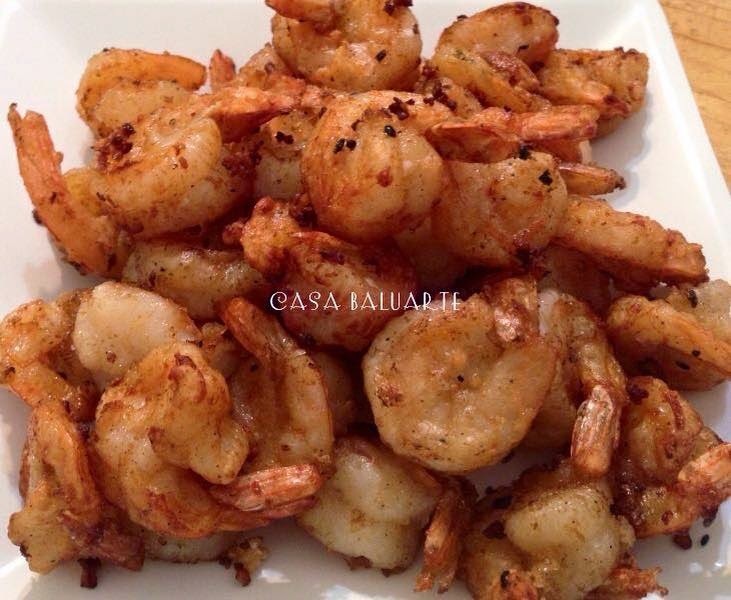 Fry shrimp one by one till golden brown. Remove cooked shrimp, place in a serving dish layered with paper towel to remove excess oil and serve.